Rares are a limited release furni on Habbo that are sold typically for a given price and only available for a certain amount time or how many are available for the public to get their hands on. Rares tend to accumulate a lot of value over time. They're often used for collections, showcasing wealth, or allow users to gain profit much more quickly than general release items found in the furni lines available in the catalogue. The trading community has also developed a way to classify a rarity for these items dependent on their overall value or how many are circulated on the hotel. Super Rares and Ultra Rares are two different terms that are given to rares by users. Before the in-client marketplace ascertaining the value of a Rare was tricky as they fluctuated after release due to popularity. Many fansites had Rare Values for people to find out the normal trading value of a rare, since the release of the marketplace Habbox is now the only large fansite to provide rare values to its users. 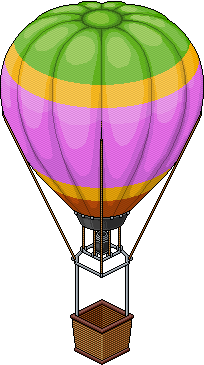 Classic Rares are Rares which have been steadily released ever since Habbo opened in 2000. 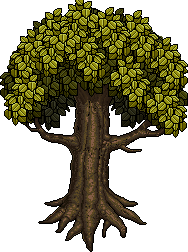 Although many new Furni ranges on Habbo are now classed as Seasonal or Categorised Rares (those furni ranges which are only released for a certain amount of time, such as Voodoo. Some of these Classic Rares, such as the Throne, Snow Globe and the Purple Parasol have become a must-have in many rooms such as Casinos and Grabbers (also showing that they mainly fall in the gambling genre); meaning that they usually sustain a respectable value. Two of the most valuable Classic Rares to date are the Throne and the Blue Kimberlite Fountain. A majority of these rares have been on numerous hotels since 2002 which makes many Classic Rares 10 years old. However, with the variety of furniture available on each hotel today, some Classic Rares have become less important, and thus decrease in value. Not all Classic Rares are expensive - although the rarer ones, usually with nostalgia or memories behind them, sell for outrageous prices. The rares have also been released in different ways, whether it be through a Catalogue release (accidentally or deliberately) competitions or just spotted in various staff rooms. They have been a part of the game for most of it, even surviving significant changes such as the merge. Some Classic Rares come in a set, such as Parasols, Bird Baths and Amber Lamps, although some have been renamed (such as Blue Amber Lamp to Royal Egyptian Lamp). Countless rares have gone out of circulation with reasons such as Bans and players leaving Habbo, which makes them rarer, and other players will pay more for them in the hope they can gain profit or just find that correct item for their room. Classic Rares don’t always all appear on each hotel, and to this day, some hotels haven’t got full sets, such as the Parasols. Other rares are simply never released or put into circulation. Classic Rares have a wide variety and some can even be classed as unique - despite many newer players not knowing the origins. v7 Rares (Version Seven) are a set of Rares which were added to the hotel back in version seven, they are mostly recolours of the same rare over and over. The Rares have taken a long time to all be released and some of them still have not even featured in a competition and are only usable by staff! Despite this most of them are in circulation and they usually fetch for above ten club sofas each and easily stretch into the thousands of club sofas at the high end. For the most part, the variety of colours for each one is fairly consistent and usually are some combination of the following colours. Dragon Lamps were added to the hotel in Version 7. Currently the Golden, Silver and Bronze dragon lamps are Super Rares. Fans were added to the hotel in Version 7. They have been steadily released over the years and is one of the few V7 Rare ranges which serve no purpose. Currently the Yellow falls under Super Rares, while the Brown Fan falls under Ultra Rares and as such are two of the most expensive and sought-after items of furniture on the entire hotel. All the fans have the description "Turn it on and enjoy the cool breeze". Ice Cream Machines (Or Ice Cream Makers / ICMs) were added to the hotel in Version 7. They have been gradually released over the years and were one of the first rare sets to dispense items (Ice Cream). Currently the Fucsia Ice Cream Maker is a Ultra Rare. The Purple Ice Cream Maker, Pink Ice Cream Maker, and Choco Ice Cream Maker are considered Super Rares. Laser Gates were added to the hotel in Version 7. Presently only the Pink Laser Gate is a Ultra Rare, it is unvalued due to the limited number of them on the hotel and difficult in verifying the trades which do occur. Despite the range being called "Laser Gates" all but two of the gates are called "Laser Portals", with the Red gate being called a Laser Door and the Gold gate being a Plasma Gate rather than a Laser Gate. All of them have the description "Energy beams. No trespassers!" except for the Golden Plasma Gate which has the description "Access Granted". Marquees were added to the hotel in Version 7. Currently the Pink Marquee and the Blue Marquee are Ultra Rares and are some of the most expensive and sought-after items of furniture on the entire hotel. The Blue Marquee not having a value due to only a few being in existence, thus equalling very little trading. Currently the Graphite Marquee has not been made available (even in competition) on Habbo.com. Monoliths were added to the hotel in Version 7. Currently just the Yellow Monolith is a Ultra Rare. All of the monoliths have the description of either "Safe and secure in space" or "Beam it up", there does not seem to be a system behind this. Despite the series being called Monoliths, only "The Black Monolith" is called a monolith and all of the others are called "Spaceship Doors". "The Black Monolith" is likely a reference to "2001: A Space Odyssey" as it resembles the Monolith which appears at several key points throughout the film. Oriental Screens were added to the hotel in Version 7. Currently the Golden Oriental Screen and Pink Oriental Screen are Ultra Rares and as such are two of the most expensive and sought-after items of furniture on the entire hotel. 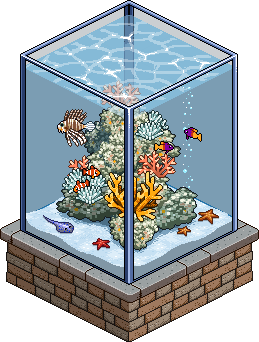 Currently the Aqua Oriental Screens to this day have not been made available on Habbo.com, even in competition. Pillows were added to the hotel in Version 7 (excluding the Bronze Pillow and Silver Pillow which were added in January 2013). Currently the Turquoise and Black is a Super Rare. While the Navy Giant Pillows are Ultra Rares and are two of the most expensive and sought after items of furniture on the entire hotel. Pillars were added to the hotel in Version 7. Currently the Pink is a Super Rare. The Blue, Olive Green and Rock Pillars are Ultra Rares and as such are some of the most expensive and sought-after items of furniture on the entire hotel. Smoke Machines were added to the hotel in Version 7. Currently the Blue is a Ultra Rare. The Purple, Pink and Violet smoke machines are Super Rares and as such are some of the most expensive and sought-after items of furniture on the entire hotel. Most of the Smoke Machines have the description 'Retro-mystification,' likely a reference to 1980s smoke machines. However, the HB Zero-300 has the description 'The perfect Habboween addition!' due to its initial release during Habboween and the Violet Smoke Machine has the description 'Something fishy is going on...'. 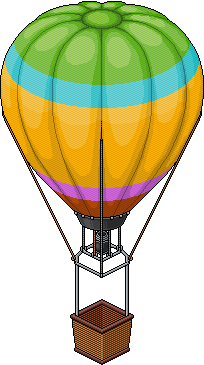 V11 Rares are a set of rares that were added to Habbo Hotel within version 11. Several new floor patches and other miscellaneous furniture are part of this selection. The main feature of the V11 rares are the Sleeping Bags, which are all similar in style (In that there are several recolours) to the V7 Rares. Sometimes the floor patches from the V11 rares are considered as "Classical Rares," however, this is a false classification as the classical rares are all pre-V7. Sleeping Bags were added to the hotel in Version 11. They have been steadily released over the years and were one of the first sleeping position rares. Currently, the Army Sleeping Bag is a Super Rare and as such is one of the most expensive and sought-after items of furniture on the entire hotel, it is currently valued at 105 credits or around a third of a throne. One Way Gates were added to Habbo as part of the V11 Rares set, these also included Inflatable Chairs and Traffic Lights. 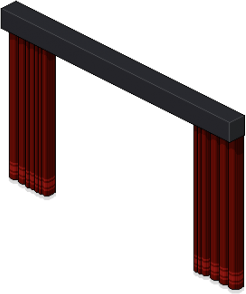 The set of One Way Gates come in various colours such as black, blue and red; they also are unique to Habbo due to the way they work. To use a One Way Gate, the user must stand behind it (ensuring that the part with the green and red light is the furthest away) and they must double-click it; they will then walk through. After that, they can no longer get through again unless the gate is rotated. They are often used in Mazes to make the rooms harder, they also don't have the feature 'use' like other furni so cannot be preclicked. Inflatable Chairs were first released as V11 Rares, they were accompanied by other collections such as Sleeping Bags and Road Barriers. They have drifted away from their original V11 era and more often appear in the Catalogue for summer events. These chairs are of little value but appear somewhat transparent and are useful as seats in Habbox Events and general Habbo rooms. There are eight different colours in the Inflatable Chairs set, and they have had a makeover throughout their time with renaming and motto changing. They all have the same motto and currently aren't worth much due to the summer officially ending. Not every colour was released in each hotel with the most common being the Lime Inflatable Chair and the rarest being the Orange and Black Inflatable Chairs. Traffic Lights accompanied both One Way Gates and Inflatable Chairs by their release as V11 Rares. These were mainly released in 2007, and it included various colours such as red and blue. The rares aren't used in many rooms but can sometimes be found in racing and mazes due to them being perfect items to give a 'go' and 'stop' process; they can also be 'used' so that they can be turned on (with a red or green light) or off. There are also six different colours available, with the Classic Traffic Light being worth the most due to the rarity and the fact it isn't named after a colour (like the other 5). Overall, the prices are stable and aren't expensive. The Road Barriers aren't expensive in value with them only peaking at approximately 3 Credits. Also, unlike other V11 Rares, the Road Barriers were released together in January 2007 on the Dutch Hotel, but other [hotels] had released earlier. The Swiss Hotel had released only the Red Road Barrie in November 2006 whereas most hotels followed that in December the same year. Road Barriers fit closely with the other V11 Rares such as Traffic Lights as they resemble the same range of road safety and the furni reflects that. The following are items that come in sets. However, they're considered part of the v11 set. The Bulrush was rare at one time, but slowly over time found its way in the Plants section of the Catalogue. The Wheel of Fortune soon also found its way towards becoming a very low priced item as well. Collectibles were a monthly release of "Collectible Rares" where the sale lasted an entire month approximately. The idea flopped and within just over a year of its conception in 2008 it had been scrapped. The idea was to have a set of rares, this was to encourage people to buy the entire set, the most popular of these sets, The Totem Pole succeeded likely due to its unique function of having room global effects on the occupants. Around the World is a series of Collectible (Rare) furniture released in 2008 featuring Rares inspired by locations around the world. The six items were sold over the space of six months between July and December 2008 with one new item out each month. Because these Rares were available for entire months at a time they have not been valuable in any way since release. The Lost World is a series of Collectible (Rare) furniture released in 2009 featuring Rares inspired by Atlantis including Totem poles. The six items were sold over the space of six months between January and December 2008 with one new item out each month. Due to the rares being released into the Catalogue for about 2 weeks at a time and because there were so many different items the values haven't increased rapidly! The only parts which appeared popular were the Totem Pole. Scifi Collectibles were released as part of the 3rd set of Collectibles - after the Around the World and The Lost World collectibles and before the very last collectible, the Ghostly Organ. All three items in this set were released into the catalogue globally, around the same time as the introduction of SciFi furniture, during Summer/Autumn 2009 and had become common Rares. The Scifi Collectibles was the smallest of the sets and only contained 3 items. For those who like to sleep a long time. 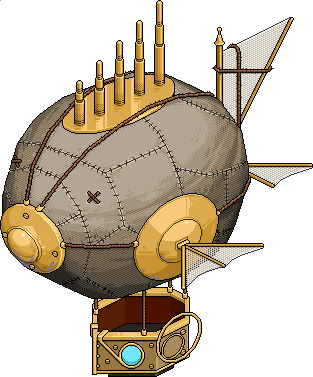 This Collectible which was first released during the Habboween 2009 campaign and was also the very last collectible to ever enter the hotel due to the series being discontinued for its lack of interest amongst players. 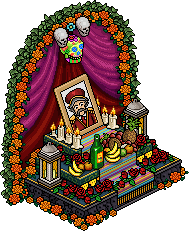 It was released into the Catalogue at a price of 25 credits and was given out as a prize for a 2009 Habboween Competition (alongside a badge), in which users had to share videos, photos, and stories about their scary encounters on the hotel. Merge Compensation was given out to Habbos when the 5 English speaking hotels (Canada, United States of America, United Kingdom, Australia, and Singapore) merged. Because different hotels had released, different rares at various times the merge caused many issues regarding how much each rare was worth afterward. To act against this and to prevent mass-selling pre-merge, the staff issued Merge Compensation furni so that drops in furni price wouldn't cause someone to lose all of their worth. After Collectibles failed to gain interest of the users. These New Rares first started in 2010 and have continued until today under different releases for all sorts of campaign tie-ins. New Rares are anything that is sold directly from the catalogue or handed out via competition/promotion. This article will break them into year of release. These crystals are super, man! The original beast - a RARE find indeed! Initially, it was thought that they would be similar to Collectibles and Rares that had previously been released in the Catalogue for 25 Credits each time, but the selling price and themes of the items were different and didn't follow a pattern. The Limited Edition Rares first began to appear in the Catalogue at random, unannounced times, which increased the unlikelihood of getting one of them. Due to controversy, and unusual biased timings this was changed and a countdown timer until the next Limited Edition Rare was introduced if there was one nearing release. The release times are still biased for mainly those in Australia and New Zealand time zones. They are not like the New Rares. They're not sold in the catalogue. Bonus Rares are rares given to a Habbo player when they purchase 120 credits. 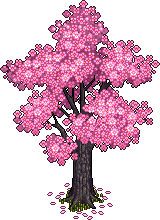 These bonus rares are usually renewed twice every month, usually in conjunction with campaigns such as Habbo Palooza. 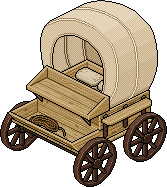 Bonus Rares are much like Room Bundles and Furni Packs, it is seen as a move by most by Sulake to get players to increase their expenditure on Habbo. Players can track their progress and see how much more credits is needed on a dedicated bar on the Hotel view. Interestingly, during Double Credits Habbo players cannot buy 60 credits to fulfill the required amount of 120 credits, they must still purchase the full 120 credits to be rewarded with the Bonus Rare. Some of the rares have dipped to 1c notably the rares released after the Credits prices were readjusted in 2014 (credits being lowered in value), resulting the 120 credits being bought for a fewer amount of cash and ultimately injecting more of the Bonus Rares into circulation.